LEVEL B – INTERMEDIATE SEARCH (Ski Resort Dog). 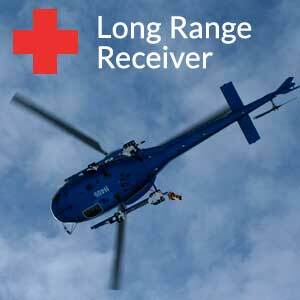 The “B” Level certification is the second step on a WBR rescue team’s journey to Level “A” status. At the Resort Level certification, the rescue team is allowed to perform avalanche searches at the team’s area of operation. 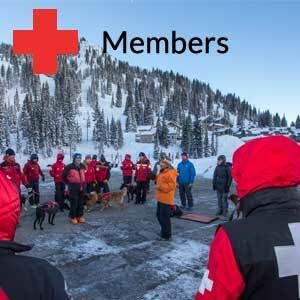 A rescue dog team must perform a simulated avalanche search to certify at the “B” Level. The test site will be organized at the rescue team’s area of operation, and the simulated avalanche site will be 1 hectare, approximately 100 yards by 100 yards. The rescue team will safely navigate to the avalanche site and locate two victims buried at a moderate depth (3 to 6 feet). The “victims” must be located in 20 minutes or less. 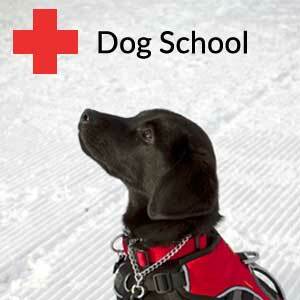 The Resort Level rescue team must also complete an obedience test to certify at this level. 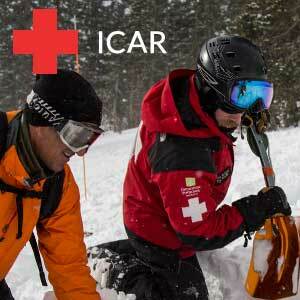 To maintain a Resort Level certification, the rescue team must perform a “B” Level search every two years. Typically a rescue team will attempt an “A” Level certification within a two years of completing the “B” certification.